This week, regular reader Ian McMillan wrote to me noting a website which until now I haven’t mentioned.I have printed his letter below as I thought it would be of interest to anyone who regularly uses video sharing websites such as YouTube. At the moment, my experience of high definition television and camcorders is confined to watching demonstrations in the shops and so I was interested to come across the website Vimeo (www.vimeo.com).There are many video sharing websites (YouTube being the best known) but Vimeo if different in the fact that it has online videos in high definition. A standard YouTube video has a picture of 320 by 240 pixels and mono sound whereas the videos on the Vimeo HD Channel are 1280 by 720 pixels (widescreen) and have stereo sound.As a demonstration of the difference, take a look at the video of San Francisco at http://www.vimeo.com/844044 – as you can see it is clearly far sharper than a YouTube video.Whilst there has been talk of YouTube launching its own HD service, Vimeo is currently the only provider with true HD videos on the web. As with Joost and the BBC’s iPlayer, there is a move towards streaming television over the Internet.This has led to concerns that ISPs are groaning under the weight of the bandwidth required.Internet connections based on copper wires are not ideal for online videos, and it would be more efficient to use fibre optic cables for this purpose. Something to consider is that online HD video will stretch any current computer and Internet connection to its limits.To receive it properly you will need a reliable broadband connection of 2Mbps or more, and a modern computer.It is also worth bearing in mind that if you currently have a cap set by your ISP of a few gigabytes a month then this will soon be used up when downloading online videos.In the future, people may be able to go to the Internet and download the latest Hollywood movie in HD format in a few minutes, but we are still a long way off achieving this under real world conditions. Whilst those that are used to ‘full’ HD resolutions of 1920 x 1080 will most likely be disappointed by the quality of Vimeo videos, it is undeniable that they are of a much higher quality and at a faster download speed than those on YouTube. 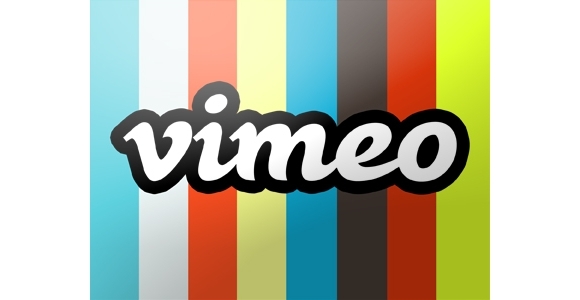 It is unlikely that this website will pose any real threat for Youtube as there are several fundamental differences between the two.Vimeo has gained a reputation for attracting the more artistic viewer as a result of the high quality of videos and the fact that only user created videos are allowed.Whilst YouTube state that they don’t allow copyrighted material, in reality the situation is quite different with the service being awash with TV shows, music videos and movie excerpts. I am surprised that after spending $1.65 billion on purchasing YouTube just over a year ago that Google have done so little improving it; the servers are slower than ever, the videos are still of a poor quality and often both the content and the comments remain completely uncensored.Whilst Vimeo have chosen not to compete directly and may not be the ones to steal the YouTube crown, they certainly show the way things can be done.